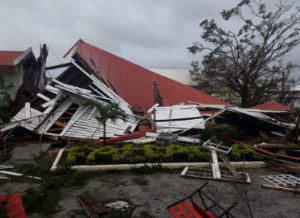 A very powerful storm struck some nations in the southern part of the Pacific Ocean, causing much destruction, especially to Tonga. On February 12, Cyclone Gita, whirled through Tonga with winds of more than 200 kilometers per hour (125 miles per hour). Areas were flooded, homes were leveled, trees were uprooted, and power lines were damaged. 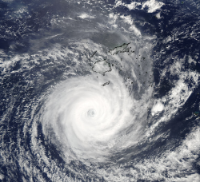 Gita was the strongest recorded storm that has ever struck Tonga. The nation’s parliament building, which is more than 100 years old, was flattened. Tonga is an island nation consisting of about 170 islands in the Pacific Ocean. The capital of the country is Nukuʻalofa. Tonga is one of the first countries to welcome each New Year since it is just west of the International Date Line.